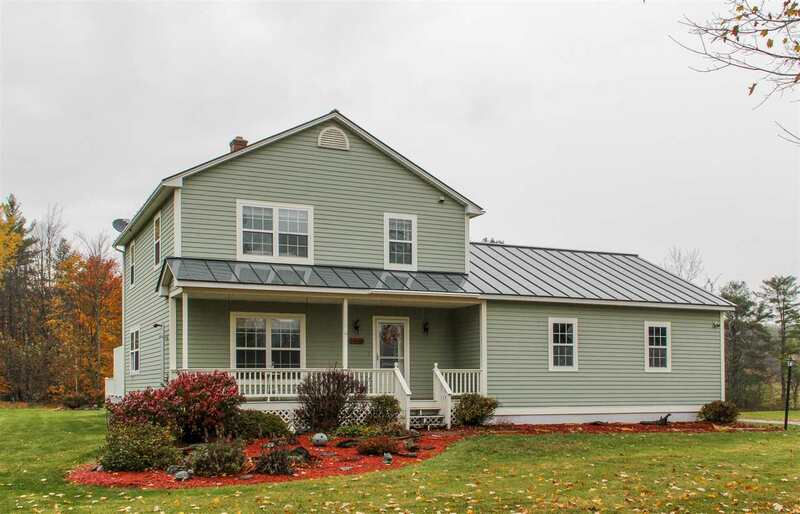 Spectacular 3 bedroom Colonial on over 4.5 acres! The large, open kitchen features an island for convenient mealtime prep and crown molding that continues through the dining and living room. Other interior features include central vac, an economical on-demand hot water heater, and an economical pellet stove in the living room - perfect for a cozy winter night. The gorgeous 4.68 acre lot includes apples trees, raspberries and blueberry bushes that bloom in the summertime, and is surrounded by a peaceful wooded area. Relax out on the spacious deck with a hot tub and plenty of room for a summer BBQ or gathering. The large garden shed is the perfect outdoor storage space, while the Quonset hut is ideal for a boat or other large items. Great location close to I-89 and shopping, and with school choice for kids. Room 1 Dimensions: 20&apos;6" X 11&apos;4"
Room 2 Dimensions: 12&apos;2" X 12&apos;2"
Room 3 Dimensions: 9&apos;2" X 8&apos;6"
Room 4 Dimensions: 10&apos;6" X 10&apos;1"
Room 5 Dimensions: 11&apos;9" X 11&apos;7"
Room 6 Dimensions: 15&apos;0" X 12&apos;7"